My good friend Dave Hood posed this question to my church back in Ohio several years ago. The question never left my mind. 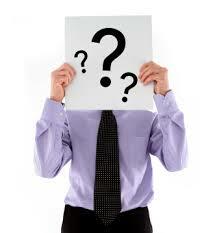 It’s the question that drives a lot of the visions I have for ministry. It’s the question that makes me look at things from a bigger perspective. It forces me to dream BIG. After all, we serve a BIG God, why can’t we achieve BIG things with Him backing us up? Wanna hear some truth? We are not going to pull it off……God will. Are you open to God’s calling on your life to do something amazing? What miracle are you a part of? If you’re not part of God’s miracle happening right now in the church, how can you be? Dream big folks! 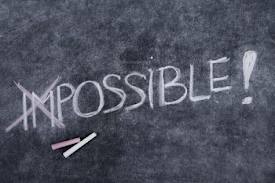 We serve a big God and nothing is impossible for us! Have you ever heard or thought any of these things? I have. My trouble is that I often buy the lies that Satan feeds me. It’s easy to buy those lies because it’s hard for us to think of ourselves as anything great when we constantly compare ourselves to others. The lies seem more believable than the truth. Your identity is not found in your job, your skills, your friends, your hobbies, etc, etc. YOUR identity is found in Jesus Christ! Amen!!! Amen!! Look at this…. You are clothed with Christ. Hallelujah! Your sins and shortcomings are covered by Jesus Christ! That’s your identity. God sees you as He sees Christ. Don’t let yourself buy the lies anymore! I’m cast my cares aside. I’m leaving my doubts behind. I’m giving my hopes and dreams to you Jesus. Be encouraged this week, friends. You are more than the choices that you’ve made. You are more than the sum of your past mistakes. You are more than the problems you create. You’ve been remade! Over the weekend I had a rare opportunity to go out to my garage and do some wood working. This is a relatively new hobby that I’ve picked up with the help of my Dad. He has been wood working for several years and is able to make beautiful things. 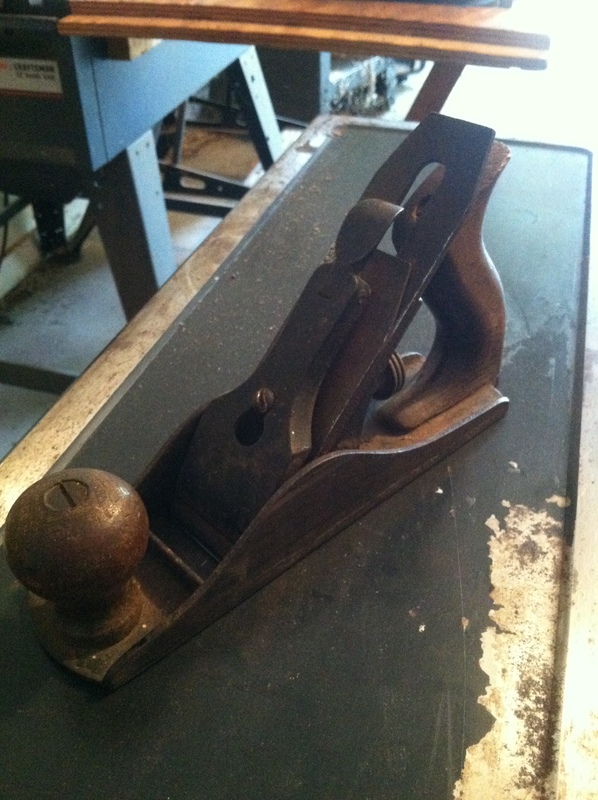 As I started working I noticed that I had an old hand plane laying in a drawer in my garage. If you don’t know what a hand plane is, it’s a tool with a blade on it that when ran across a board, it will level any high points in the board to make it a uniform thickness. It’s pretty old and has seen better days. I decided that I was going to clean it up. I took the blade out and started the sharpening process on several different grits of sandpaper…..2 hours later, it was looking good but still needed more work. My hand was sore from holding the blade in the same position for that long and I was sweating profusely because it was about 95 degrees outside. I finally got it to a point where it could be used and I put the plane back together and ran it across a board. it was great! Long thin shavings of wood scraped off the board like butter and in no time, the board was perfectly flat. I felt a great sense of accomplishment. It took what seemed like forever and it was hard and frustrating but the end result was so worth it. Just this week the endurance swimmer Diana Nyad, 64, became the first person to swim the 110 miles from Cuba to Key West, Florida without a shark cage. 64 years old!!!! The next time I hear some one say they are too old….. If you read her story, she failed several times before finally succeeding. At the end of her 110 mile swim, Diana was badly sunburnt, her lips were swollen and bruised and she had to receive medical attention upon her arrival. If you ask her if it was worth it, she wouldn’t hesitate to say yes. The Christian walk is hard. Sometimes we are met with failures but you need to be encouraged because the final victory is already won! Jesus Christ has already made a way! 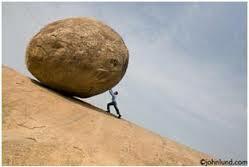 We need to persevere and not let Satan get a foot hold in our lives. Think of your life as one long working project. You are doing what God has called you to do and one day He will call you home. You will look back on your life and say “It was worth it.” Heaven is your reward. 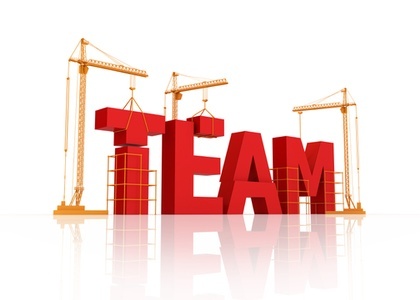 Ever been on a great team and you wondered what it was that made the team so great? Was it the people? Was it a project? Was it your role? Was it the outcome that made the team great? The health of your team can determine the outcome of your goals. If your team practices unhealthy behaviors, your team outcome could be failure. If you practice healthy behaviors, you are not guaranteed success but your chances for achieving success are dramatically increased. Here are my 5 observations of good teams…. 1.Mission Focused- There is power in a team that is unified in purpose. When everyone on your team is aiming at the same target, hitting a bullseye becomes so much easier than if everyone is going in different directions. Keep your team focused on one main goal. 2.Inclusive– I think a great team is open to other people’s interest in your team. When you invite others to join you, you are inviting fresh ideas and perspectives. An exclusive team can easily fall into old habits and run out of new and interesting ways of doing things. Look for ways to invite others into your team’s “process”. 3. Fellowship- Good teams take time to know each other whether it’s outside of the “work” environment or time during your “work”. I prefer to meet with people to hang out outside of our task oriented meeting times in the church. This is where friendships are made and, when you get to know people on your team, you will work better together knowing each others likes and dislikes as well as strengths and weaknesses. 4.Honesty- Honesty is so important in dealing with team dynamics. If you tell someone that they did perfect when there could be lots of room for improvement, you are only setting them and the team up for failure. This also comes with a disclaimer….you don’t have to be mean when being honest. Look for ways to encourage your team to do better without tearing down their spirit. In the end, your relationships will be stronger and your team will “perform” better. 5.Personal dedication- I’ve noticed that the people on good teams all have a personal commitment to the success of the team. Each person is individually striving to do better and also spurring their teammates on to success. We all have probably been on a team where one person just sits back and lets the other people on the team do all of the work……don’t be that person. If you joined the team you should be giving your all towards fulfilling the mission of the team. Take personal responsibility for your role and expectations. These are just my observations. There may be more and I would love to hear your thoughts about what makes a good team. Tell me about a time when you were on a great team and what made it so great……Go! I Am a Puzzle Piece and So Can You! Every thought about how God sees the world? We see the world from the ground level. We see it from the closest point you can get. Our perspective of the world is small compared to God’s perspective. A lot of times we go through life asking God to make certain things happen for us. Sometimes we even bargain with God. We say things like, ” God, if you do (fill in the blank) I’ll go to church every day for a year.” Or something along those lines. Usually we make these deals when we want something REALLY bad or we are in crisis. Sometimes we pray that God would change things that we are not involved in but see a problem. World hunger is a big example of that. Most of us are not crusading to end world hunger but I think it’s something we would all like to see changed. My question to you is, where do you fit in God’s plan? I look at God’s plan like a big puzzle. There are more pieces to this puzzle than I can even comprehend. As He looks down on all of us, each one of us is a puzzle piece. God is putting all of the pieces together to make His big picture. There are lots of people who don’t know God so there are lots of holes still in the picture. You see, each one of us is a unique piece. No other person can fit in “our spot” in the puzzle. Where does your piece belong? I’m sure God has a plan for world hunger. He has a plan for everything. Specifically though, What does God’s plan for Wesley Chapel look like? How do you fit in it? 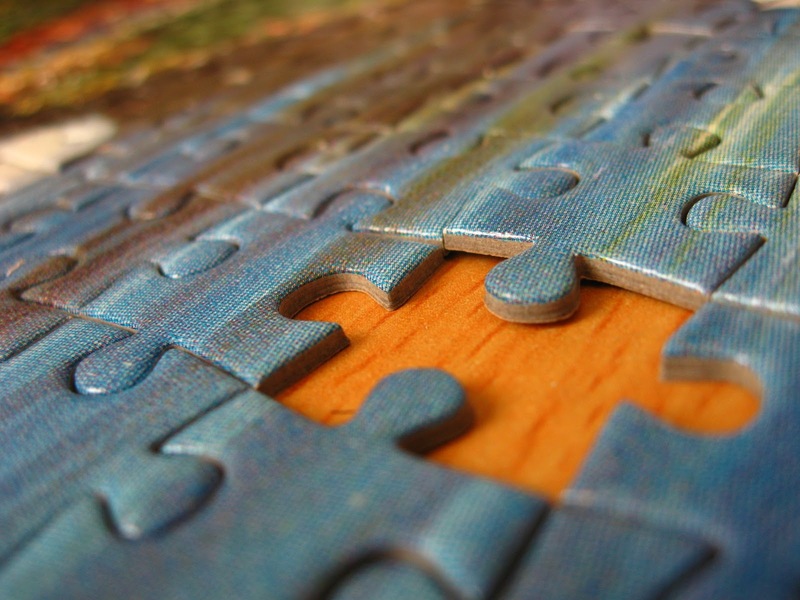 God is calling your puzzle piece to fit somewhere in His puzzle. Have you asked Him where you are supposed to be? Maybe you are already there. So what do you do now? What is God calling you to do where you are at? There is a lot of things happening at Wesley Chapel. Lives are being transformed. We are moving ourselves in to a great position to change the world! How is God calling you to be a part of this miracle? I’m so excited when I think about the possibilities that this church has. We have overcome adversity in the past. We have made hard changes. Every week we see that more and more new people are hearing the Gospel! That’s why we are here! To make disciples! To change the world! To show a corrupt world the love of Jesus Christ! ARE YOU PART OF THE MIRACLE OR ARE YOU HOLDING BACK?! Is your puzzle piece filling your spot in God’s puzzle or are you sitting off to the side waiting until the edge pieces get put together first? I would love to hear how God is using you and where you see Wesley Chapel in 10 years. Let the comments fly! As I write this, I’m sitting down at my office desk eating a bowl of Ramen Noodles. Not because I can’t afford anything else, I actually like them……some of them (dehydrated, microwaved, micro size shrimp are a little too weird for me). As I put the bowl in the microwave to heat up my noodles I thought back to the times in my life when that was all I could afford. A time when I didn’t like them because I’d had them for breakfast, lunch, and dinner for the last 2 weeks. Oh and I can’t forget the SPAM. Every once in a while I would go all out and put SPAM in my Ramen for a tasty little treat. True story. There was a time in my life where I felt like I had hit rock bottom. I was going through a terrible divorce, my garage was set on fire, I was working two jobs and trying to go to school. My finances were a wreck and I was trying to get my head above water to find a new sense of normal. All of this hit me at once. Ramen Noodles became the norm. I went through many hours of counseling to help process everything. Mind you, I was only 23 years old. That’s a lot of life experience thrown at a 23 year old all at once. It’s a lot for anyone at any age. My two jobs at the time were as a Corrections Officer and a Police Officer. I saw the sick cruelness of the world first hand. It made me bitter and cynical. During this time I was also beginning my faith journey. During my failing marriage, I had decided to accept Jesus. My wife, at the time, was not supportive. This made my spiritual walk difficult and I felt pulled in several different directions. Thankfully, God pulled harder. I never blamed God for anything that I went through and He always seemed to place the right people at the right time in my life to help guide me. It all seems like a distant memory now. I can’t believe that that was my life! Everything is so different now. I have a beautiful and happy family and marriage, an awesome “job”, and I’m surrounded by great people all the time. It’s taken a while to get the pieces together but I feel great about where God is leading me. God took my mess and made a miracle out of it. He worked for my good. I’m so thankful. As silly as it sounds, Ramen Noodles remind me about how faithful God is. 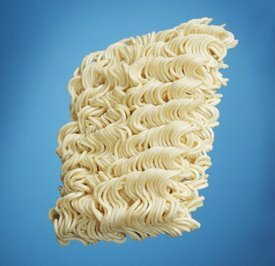 Ramen Noodles are a symbolic reminder of who I WAS. I am transformed. Are you? Movies are great aren’t they?! They make you feel lots of different emotions. Movies tell a compelling story that is intended to touch your heart in some way. But you know what? Wait for it…….they are not real! I know, I know! Complete shocker. I love movies but at the end of the day they are just a good distraction from real life. Or are they? Here are 5 things that I learned about ministry from Hollywood. Movies have enemies or antagonists because it makes the plot more interesting. In the real world, we have people who disagree with us. Period. You can’t make everyone happy. At the end of the day, you have to do what you believe God is calling you to do even if someone disagrees with you. Ever seen a movie where a problem occurs and the hero of the movie swoops in a solves it in an instant? Nope. That wouldn’t be very interesting. Usually the hero tries to solve it on his/her own but is met with defeat. Only then does the hero consult friends or a wiser (usually older) person to help them figure out a solution to the problem. Take away- Don’t try to make it through life on your own. We were made to be in community with each other. We need to fully rely on God and our family and friends to make it. Why is that character acting like that? These are a couple of the questions we ask ourselves in the beginning of the movie. As we try to figure out the plot of the movie we are only given bits and pieces otherwise there wouldn’t be much of a story to tell. Same reality with God. We don’t have all the facts because……..well……I guess God just didn’t want to give them to us. No really, if you had all of the facts would you feel like you need God? Probably not. There is a much bigger picture unfolding all around us that we need to remember. Life is full of mysteries and we need to be OK with that. 4. Sometimes we run upstairs when we should have gone downstairs. Most horror films include, somewhere in the movie, a helpless person running upstairs from the monster/killer only to trap themselves when they should have gone downstairs. That’s the point where we are all yelling at the TV screen “No don’t go up there! What are you doing? !” You know you’ve done that :). God has a path for us and it’s a good one but sometimes……we run “upstairs” and trap ourselves. What this “movie truth” taught me is that I’m not alone. We all make mistakes. Thankfully we serve a God that forgives us and gives us the opportunity to get back on track. I can’t count the number of movies that end like this……You see a close up of the major characters of the movie holding each other. The camera begins to pan out and you start to see that they are surrounded by debris and devastation. They embrace each other and then the theatrical music and credits begin to roll. By the end of the movie it didn’t matter that their house was blown away, or the dog was abducted by aliens, or the car was smashed. What mattered is that they were still together. As we race through ministry together, it’s not about the songs we play/sing, how we play/sing them, what new fancy toys we have, or who gets to do what. It’s about relationships. Relationships with each other and our relationship with God. The other things that we do are tools to achieve deeper relationships with each other and God. That’s it. That’s all they are good for. We need to keep this in perspective at all times. Let’s keep the conversation going! 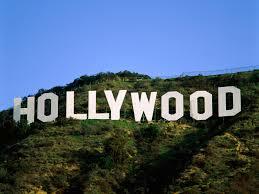 What other things can Hollywood teach us about ministry? Thoughts or questions are appreciated below!